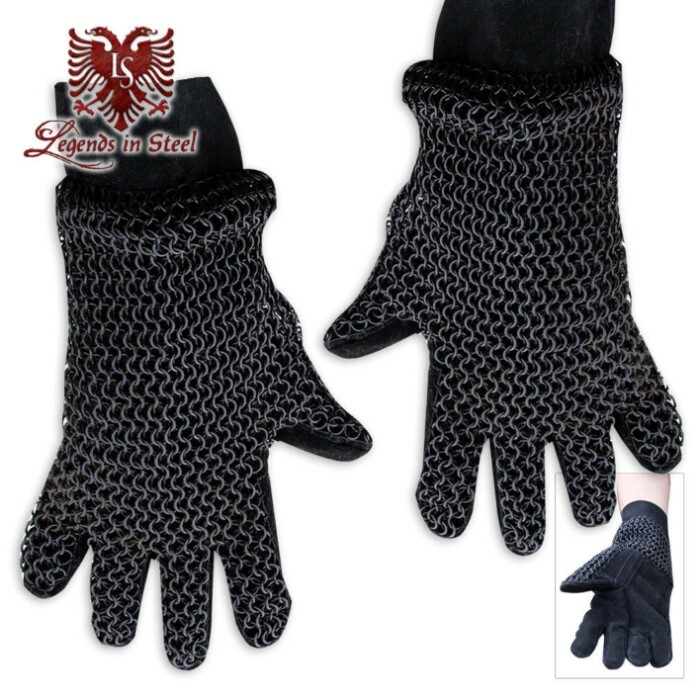 These padded chainmail gloves are constructed with zinc-plated 18 gauge steel in the traditional 4-in-1 linked pattern. They are lined in leather for a comfortable padded wear. Collectors and medieval reenactors alike will appreciate these authentic replicas.